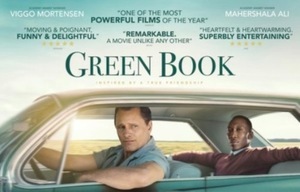 "Green Book" (PG-13, 2h 10m, 2018) will screen Wed. March 27, 3-6pm. Dr. Don Shirley is a world-class African-American pianist, who is about to embark on a concert tour in the Deep South in 1962. In need of a driver and protection, Shirley recruits Tony Lip, a tough-talking bouncer from an Italian-American neighborhood in the Bronx. Despite their differences, the two men soon develop an unexpected bond while confronting racism and danger in an era of segregation. For more information go to www.pequotlibrary.org.